Fit Owners & Fit Dogs! or while enjoying trails with your best friend. A Walking-Stick and a Flirt-Pole! The 10-minute workout is great for dogs when there's no time for that Vet recommended daily 2-mile walk. It's time to break out the Doggy FitStick! We can't take credit for being the originator of the flirt-pole, the flirt-pole has been a time honored conditioning tool of dog fanciers for generations. 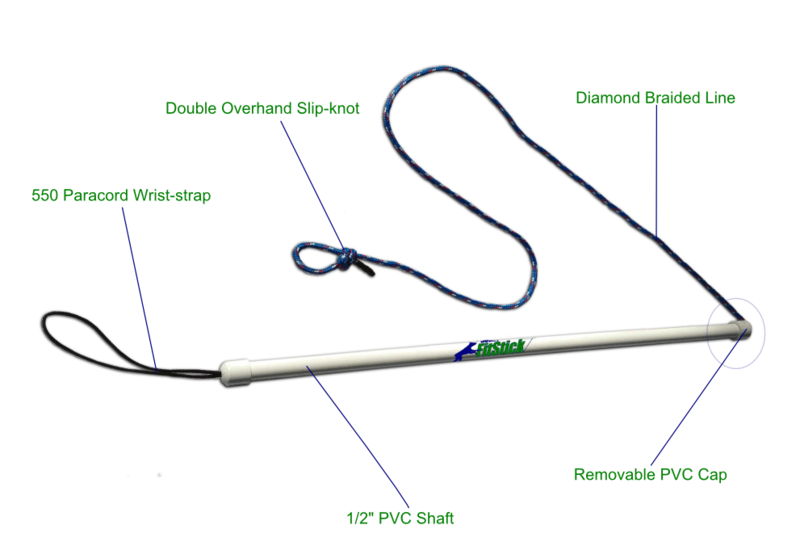 The Doggy FitStick is our version of the flirt-pole that we use everyday with our own dogs. After so many requests from friends and family, we decided to offer the Doggy FitStick to other dog owners that didn't want the hassle of making thier own flirt-pole. Everytime we gave directions on how to construct a flirt-pole, our friends and family always said the same thing..."We don't have the time to deal with all that. Can you put one together for Us?" Lets face it, you have too many other things to worry about during the day. And stopping off at the local hardware store to gather all the parts, construct it and waste money testing out what materials work and which don't is a real pain. With those things in mind we made a low-cost, rugged toy you both will enjoy.